I got a girlfriend who was a Pat's fan when I was 16. I waited for her to tell me that she loved me ( it was high school so it only took a couple weeks) then I broke up with her. When she asked why I told her so she could feel the heart break that I felt when I was 11. I'm a terrible person sometimes, but I was, and still am, okay with what I did. That is horrible, but one of the funniest thing's I've read in a while. Now that is cold-blooded lol. Yeah that heartbreak of that Superbowl stings man. 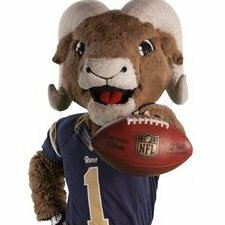 I think this season was meant to play out like it has so the Rams have a chance to beat the Patriots. Whether some want to just focus on rewriting a wrong or just sticking it to them this season. Ive said all along that sure I wanted to see Chiefs v Rams Part 2 but I really wanted to see the Patriots with the main two guys in Belichick and Brady because they started this. Ill feel alot better after the game and the Rams are the ones celebrating while the Patriots are the ones drowning in their sorrows. 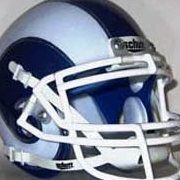 I didn't have a team I wanted the Rams to play in the Super Bowl because of the whole be careful what you ask for cliche. I'm not putting any emotional investment into payback. That loss, especially now knowing where each team went after that game, hurt enough. I just hope we win. Can Sean McVay and Wade Phillips come up with an entirely new scheme to fool and beat the Patriots? I wonder if he'd offer to splurge on Hardee's instead of McDonald's burgers since we're a pro and not a college team? Doesn't matter, we'd probably no show like the Eagles did last year, anyway. I don’t know why. But honest to god I’m getting a 34-7 vibe this game! With the winners being y’all know who. I see us being extremely happy this time next Sunday. But I just don’t know lol. 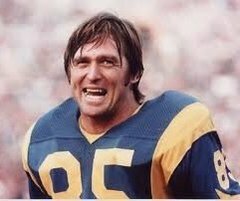 Think the rams superior talent and strats show up big time and I’m jumping on that Gurley 1800-1 SB MVP wagon. But I’m not as every game I’ve I bet one I lost the spread. I don’t know why but that 34-7 score is in my head. I had similar Deja vu to the saints game. 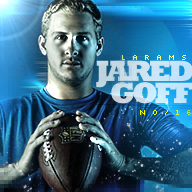 Where Goff balls out. Just hoping for the best though, after all it is Ne. And no matter what! This season was a dream come true. So happy for the guys. Let’s get it boys bring that bacon home. my lord some of the worse takes I’ve ever heard in my life. Like if Bill has this magic switch to blow teams off lmao. I can’t believe this garbage man is being paid to talk. These are some homer pat fans type debates. Lol good old Foolio Florio. He’s picked against us every week so I hope he keeps it up. This feels so great. Everyone has the pats winning.. Everyone has us getting smashed. And even if we do i love it. I love ho we feed the underdog role.. I love how they count us out. Wouldn't have it any other way. dropping out 6-8 weeks ago lol. All of a sudden.. Same for Louis Riddick, Who i do enjoy and had us in the SB prior to starting. But he went full arse cheeks after Chi. Proud new owner of a Cooper Kupp throwback jersey (my side-bet with my wife on the NFCCG). On principle, I'm only buying throwback jerseys until the formal change-over to LA colors and logos which isn't coming until the inaugural season for the new stadium (and I'm really hopeful at that point our "throwbacks" become the 50's white and blue unis so i can get the closest-to-accurate jersey for my cousin as possible - even if I'm going to have to probably shell out $300 to get it since it'll be a custom job). I joined this forum in 2010, freshman year of HS. I cant believe we are here at the superbowl after years of being dedicated to one of the worst teams ever. We survived bradford, spags, fisher, 11 corners on ir, tavon austin, refs cheating to make seattle go to the playoffs at 7-9, case keenum and more. We deserve this. And we are going to crush the cheatriots.